These stunning pool tables are the choice for many of the world's top tournaments such as the Mosconi Cup, World Pool Masters and the World Cup of Pool. Exclusively available from Home Leisure Direct. Rasson Billiards was established in 1990, they started off providing billiard slate OEM for billiard companies across the world. Over the years it grew to take nearly 60% of the billiard slate market in North America, becoming the most famous slate brand in the world. In 2005, Rasson expanded into the billiard manufacturing territory and provided the OEM & ODM for companies in North America. Now, Rasson has become the biggest billiard table manufacturer and exporter in the world producing over 10,000 tables per year. Rasson have created a great pool table variety, high quality materials have been chosen specifically to make a luxurious set of pool tables for all types of players. Rasson’s Victory II pool table is a high grade pool table designed for the best which is why this table contains amazing features. 30mm thick premium ‘Resson’ slate, Adamath-Wood Rail, Artemis Pool No.66 rubber cushion and steel beam. 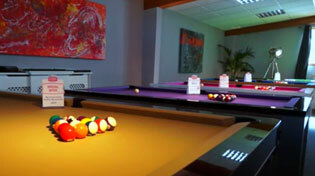 The table is currently being used in the World Cup of Pool and was previously used in the Mosconi Cup as well as GB9. Rasson’s Challenger pool table is the more luxurious table of the range. It’s design would fit right into a historically themed tavern, but don’t let that deceive you; the table is equipped with Rasson’s best patented technology, slate and cabinet levelling systems that support the premium 30mm thick Rasson slate. This table is perfect if you’re in need of a high quality, luxurious pool table. Rasson have also created the Innovator, a table with a slick, professional look that improves with every iteration. This high quality table is equipped with the latest Rasson technology, slate and cabinet levelling systems & pockets that hold 10 ball’s. This is a table that will be perfect for your modern style house. Rasson has proved time and time again that their billiard tables are some of the best, highest quality tables; with these products, the reassurance continues.